If you've ever gone into the kitchen and forgotten why, or been unable to recall a familiar name during a conversation, don't worry - everyone has the occasional “senior moment”. 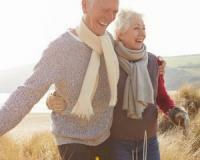 Contrary to popular belief, ageing alone isn't a general cause of cognitive decline. That's right - memory lapses can occur at any age. When cognitive capacities become significantly worse among older people, it's usually not due to ageing, but to organic disorder, neurological illness or brain injury. Multiple studies have associated eating plenty of vegetables and omega-3-rich fatty fish with a lower risk for cognitive decline. Others have tied keeping away from saturated fats and opting for unsaturated fats instead with the same benefit. Excessive drinking and smoking are two habits that are strongly associated with an increased risk for dementia. If you drink, make sure you do so only in moderation. If you smoke, kick the habit altogether! Studies show it helps improve focus, alertness, and mental clarity…starting the very first time you use it. Plus, it could give you nearly perfect word recall. In one study, this easy “Lemon” Trick even helped people ace a math test! And it didn’t even matter if they hated math! It takes just seconds to do…but you can get results within ONE HOUR. See how it works right here. According to the Alzheimer’s Association, people who are less educated are at a higher risk for dementia because mental stimulation throughout your lifetime is key to a sharp mind. Keep your mind active by learning new skills, playing challenging games, increasing your level of social interaction and partaking in other activities that require an engaged mind. These two conditions can boost your risk of stroke and heart disease, which are proven to contribute to the development to some types of dementia. Heart health – having healthy cholesterol, blood pressure and blood sugar levels – along with eating a healthy diet, being physically active, maintaining a healthy weight and not smoking was tied to better cognitive function in a 2014 study published in PLoS One. Keeping your mind sharp at any age is as easy as that! Lemon balm helps boost your brain function!